With the 2014 Cider Conference and Cider Summit approaching, we are pleased to bring you an educational opportunity to learn more about the recent submergence of craft cider in the US market. 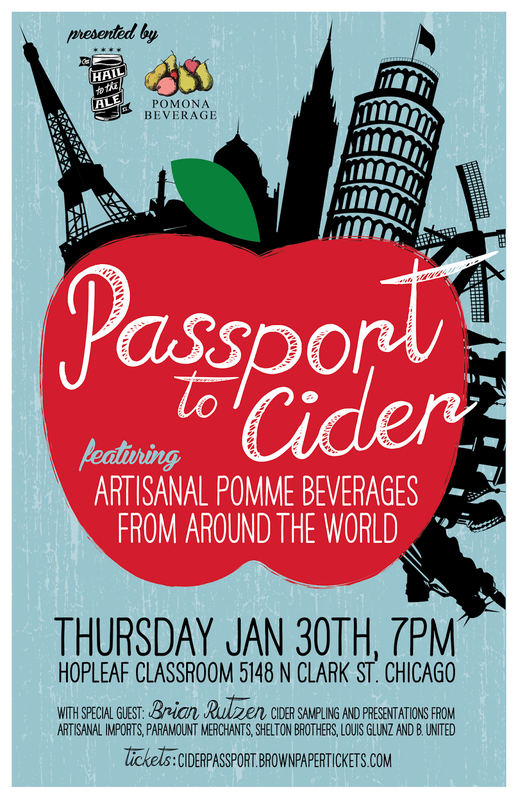 Cider expert Brian Rutzen will take you through the history and process of cider making as well as how European trends are influencing how cider is being made in the US today. We will have folks from Shelton Brothers, Paramount Merchants, Louis Glunz, B. United and Artisanal Imports sampling and talking about cider. Fountainhead Chef Cleetus Friedman will be stopping by to talk about their latest venture - Chicago's first cider bar, The Northman to open in 2014.